See your pet's photo here! Enter your pet in our monthly "Pet of the Month" drawing! Check out our Events page for details. 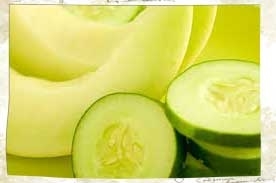 Our signature Cucumber Melon Facial! Its light, airy scent relaxes your pet while it thoroughly cleanses. 100% all natural, hypo allergenic and tearless! "Where pets can roam and feel at home!" Pet Grooming At Its Finest! Check out our Specials & Events page to find our offers for this month and how to earn a FREE GROOM! Get $5.00 OFF your first groom! We are a Spa that follows all of the latest trends, techniques and standards in the pet industry! We have a highly experienced and highly trained owner in the field of pet care. With experience grooming show dogs and previously owning a doggie daycare,the owner of Sassafras Pet Spa, LLC has an extensive background in the care of peoples' pets.Check out her Biography to learn more! We offer cage free, stress free dog grooming, cat grooming, small animal grooming and dog Training Services. Our Philosophy is that dogs should be dogs, and we want to diminish stress by getting your pet in and out; and to keep the shop atmosphere light and relaxed. This means that we work primarily by appointment only (we will accept walk-ins), but we are never over booked, over crowded or have stressed animals here for long amounts of time. We treat every pet as if it were our own. We let the quality of the work, and the relaxed demeanor of your pet speak for itself! Dogs get to hang out in the grooming area until their owners pick them up. This gives them an opportunity to interact, make friends, relax, play or just take a nap! Stress and anxiety are contagious emotions, and constant barking dogs only adds to the stress of your pet. We want you to feel relaxed and confident that your pet will receive a true "Spa" experience. We use aromatherapy daily to help relax even the most anxious of pets. On slower days we let the dogs hang out in the front office. They are always under constant supervision and care. No sitting in a dank and dirty cage for these pups! If a dog is not friendly with other dogs, then they may need to be crated or separated for a brief amount of time, or scheduled on a slower day. This is required for safety! We want even the most fearful, under socialized, or dog-aggressive pup to get the same experience. All of the pets' well being is our primary concern. Dogs are able to play, socialize and relax. We whip out the toys, treats and fun for your fur baby! They are treated like a beloved member of the family at Sassafras Pet Spa, LLC. We want you to know that your pet means the world to us, just as they mean the world to you! We want your pet to feel as if they are not just going to the neighborhood grooming salon, but an enjoyable "home away from home". This is not your typical grooming salon. We not only stand out from the rest in terms of our services, but we also reach out to our community. In the coming months we plan to do fundraising with several local charities and rescue groups throughout the year. Stay posted on our Specials and Events page, or on Facebook; to learn about upcoming events.